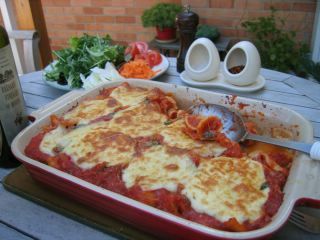 Following on from the success of Young Sarah's Cake, I decided to give another recipe from Jamie’s Italy another go – the baked pasta with tomatoes and mozzarella. This dish is extremely simple, but very very tasty. You layer cooked orechiette with a simmered tomato sauce (tinned tomatoes, onion, garlic, dried chillies), fresh basil leaves, parmesan and mozzarella cheese. 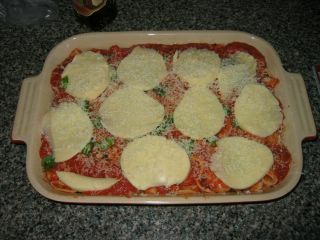 Then it just needs to be baked for 15 minutes until the cheese is melted and the sauce is bubbling. 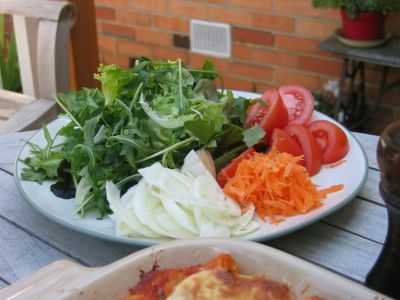 While it was cooking, I made a salad. The first thing I did was to leave some tomatoes in the sun to make them delicious and intensify their tomato-iness. I tried to recreate that fabulous salad that I ate in Rome - thinly sliced fennel, mixed salad leaves, grated carrot and tomatoes. Mine wasn’t exactly the same, but it was still pretty good! This pasta is absolutely delicious! All the flavours just compliment each other so perfectly. It's great hot, straight from the oven, and any leftovers are fabulous eaten cold or microwaved. I think making this pasta is definitely the way forward when entertaining for large groups. I am so glad that Spring is here! I hear ya- that pasta is great! Thanks for the heads-up on such an easy and pleasing dish. 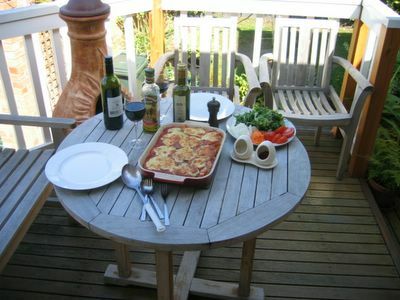 And your whole alfresco dinner looks fab- I'm sure the salad complemented the pasta perfectly. Was so inspired by this I made it for a pot-luck lunch today and it got rave reviews! Thanks. I have the pasta I need to make this recipe, but the thing that stops me is my inability to source the nice big mozarella I can only find little ones and when I have found a big one it cost about $10.00. 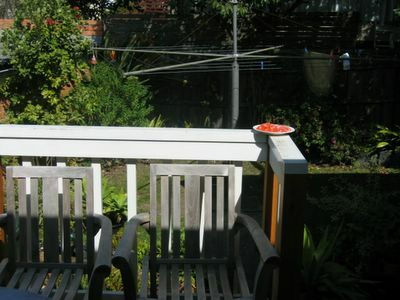 Are they that expensive in Melbourne and how many did you need for this dish? I bought my mozarella from an Italian deli at Box Hill market, and it cost about $5 for a 500g ball. I only needed to use about half the ball, even though Jamie says to use about 450g. Good luck finding it!